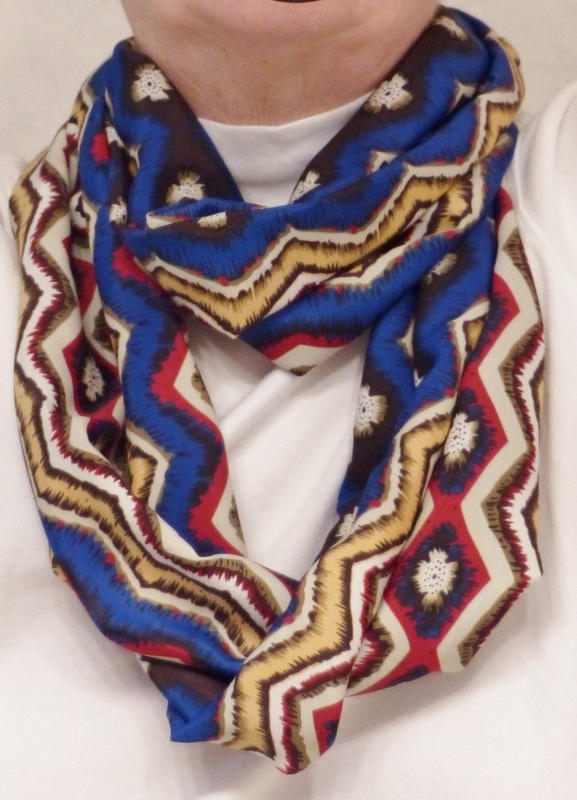 This beautiful infinity scarf is made in a fabric that is a vibrant design of blue, red, white, black, yellow and brown. It is a soft, polyester fabric that drapes beautifully. The scarf can loop once or twice as desired. Best to hand wash and lay flat to dry. Press with light setting.